Every year when families gather in one place to celebrate the Christmas season, catching up and sharing a meal, plumbers say they experience a high number of calls concerning clogged garbage disposals, backed-up drains and frozen pipes. But they also say that these issues can be avoided with preventive measures. When there are more people in one house, plumbing is used more often. This can cause a lot of problems to arise. One of the biggest blunders people make is that they try to put eggshells, potato peels, coffee grounds or other types of food down the garbage disposal after big holiday meals. People also tend to use their disposal incorrectly, turning it on for only a few moments and shutting it off before the food is completely gone. The general rule of thumb is to turn on the disposal and leave it on until you hear the disposal sound just like it did when it was empty. 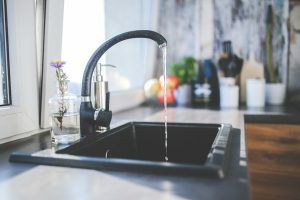 Other problems caused by clogged garbage disposals include an overflowing kitchen sink and a backed-up dishwasher. Most of the calls plumbers get on Christmas or the day after are usually garbage disposals and sewer issues. Other things that can cause problems when large numbers of people gather for the holidays are using all of the showers in the house at once and misusing toilets. Aside from the problems that come with crowding in homes, cold weather can also wreak havoc on pipes. Just make sure that your hoses are removed from your hydrants outside and make sure that all crawl space vents are covered and insulated to keep your pipes from freezing. When the outside temperature is in the single digits, any faucets close to outside walls of the home should be left dripping overnight.